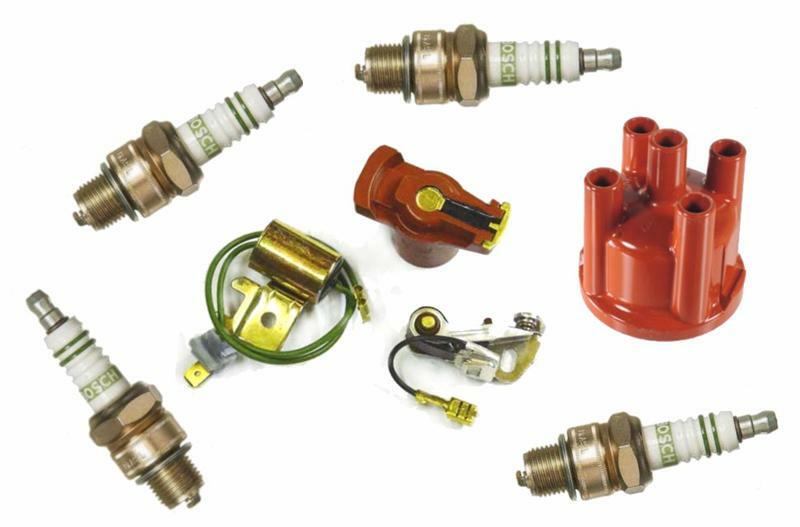 Volkswagens have traditionally been fitted with ignition components from Bosch or Beru, both fine German companies. These are also the two recommended suppliers for replacement ignition parts for your Volkswagen. Robert Bosch GmbH dates back to 1886 and today is the world’s largest supplier of automotive components. Bosch spark plugs were first made in Australia by Pyrox Pty Ltd in 1930. Pyrox opened a new factory and head office in Clayton in Melbourne (across the road from the VW factory!) in 1954. Pyrox was bought out in 1956 and became Robert Bosch (Australia) Pty Ltd. Bosch supplied the Australian VW factory throughout the 1960s and 1970s and continues to supply the Australian automotive market today as well as exporting $500 million worth of Australian-made components annually. Beru was formed in Germany in 1912 by Julius Behr and Albert Ruprecht as a maker of diesel fuel injectors, but soon expanded to spark plugs and petrol ignition parts. For many years they have been a popular alternative to Bosch for VW owners in Europe, but have been harder to come by in Australia (they were never made here as Bosch parts have been). Beru was bought out by the US BorgWarner company in 2005, and trades today under the name BorgWarner Beru Systems GmbH. Some Beru VW parts are still available in Australia from selected auto parts suppliers, but not anywhere nearly as widely as Bosch. The following list comes from recent Bosch and Beru Ignition Parts catalogues, and lists the correct components for common VW models. Note that both companies have renumbered many of their parts in recent years; the current part numbers may not match the ‘old’ numbers quoted in your VW workshop manual. Write down the parts you need on a piece of paper and leave it in your wallet. Next time you're in the auto parts store, you will have the numbers you need. This list applies to VWs sold in Australia up to 2005. It refers to ‘Standard’ spark plugs as recommended by Volkswagen, Bosch and Beru. Some newer models may have the option of Bosch ‘Premium’ or ‘Performance’ plugs (or Beru ‘Ultra Titan’ or "Ultra Platin' plugs ); consult your Volkswagen dealer or browse the on-line catalogues at Bosch or Beru for further information. This also applies to newer VWs not on this list. Some VW enthusiasts choose to use NGK spark plugs. If you are interested in these good quality Japanese plugs, visit the NGK website to select the correct plugs for your VW. Note that apart from some leads for water-cooled VWs, NGK cannot supply any other VW ignition components. All other Volkswagen models have electronic ignition. All other Volkswagens have electronic ignition. All other Volkswagens have electronic engine management systems.